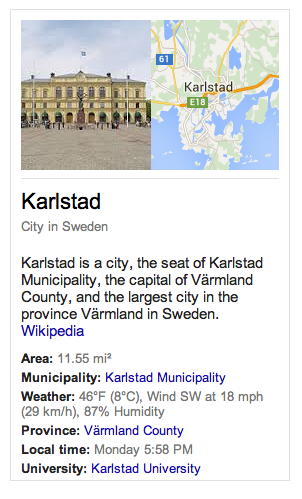 According to the web, Karlstad is about 8,800 km from San Diego (where I am). 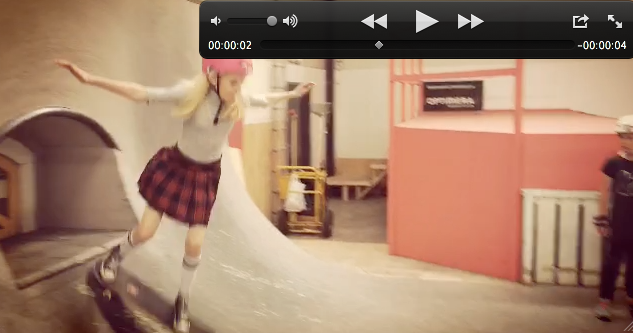 That I got an email from Sweden to let me know more girls are skateboarding there – fabulous. 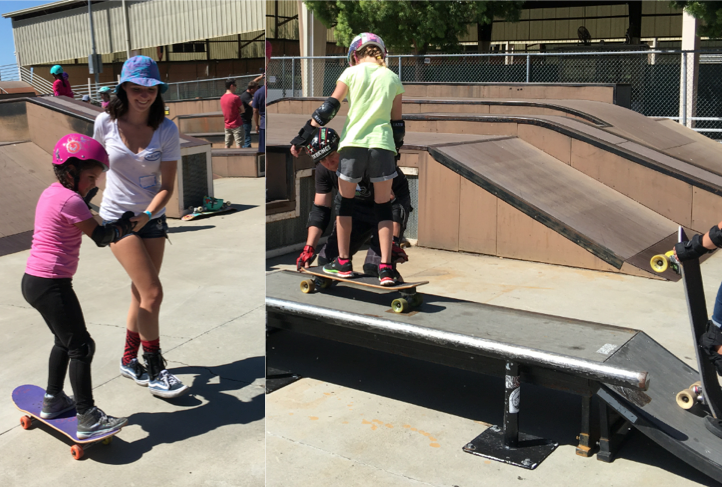 More girls skate when they see girls skateboarding and we encourage each other. 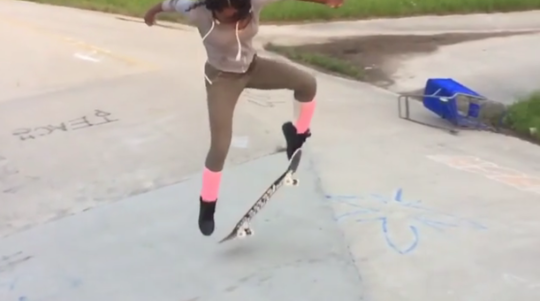 Do ballet and skateboarding work together? 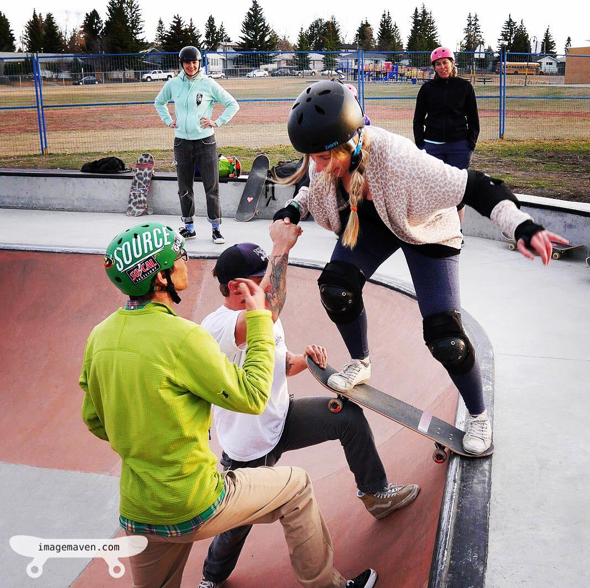 Yes – skateboarding is sport and art – adding your ballet, yoga, who you are into your skateboarding is what makes watching skateboarding beautiful and skating fun. Thanks Alma & Ella for sharing. 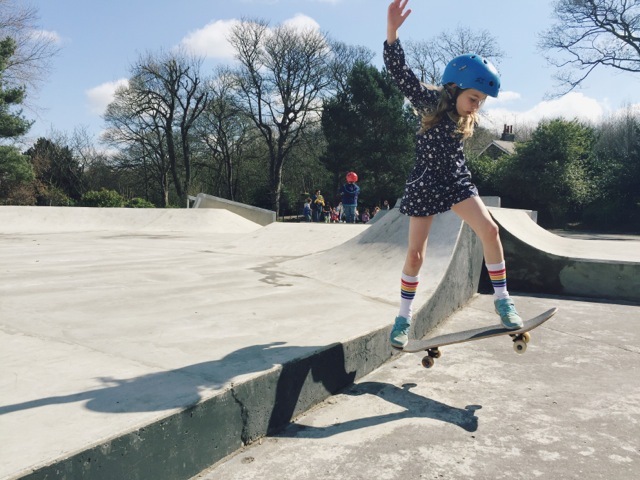 And thanks for your patience – they first shared in January, by now there’s more girls skateboarding in Sweden & Happy Belated Birthday to Ella who is now 12! 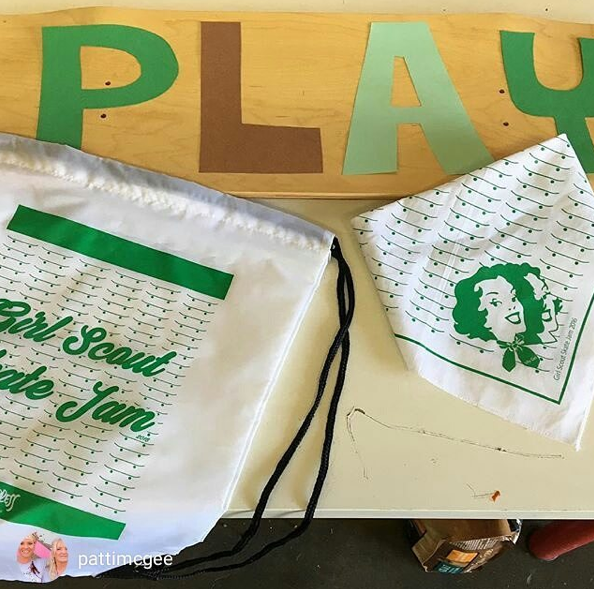 The Wahines of the Waves is an all girls board sports club at the University of Florida. 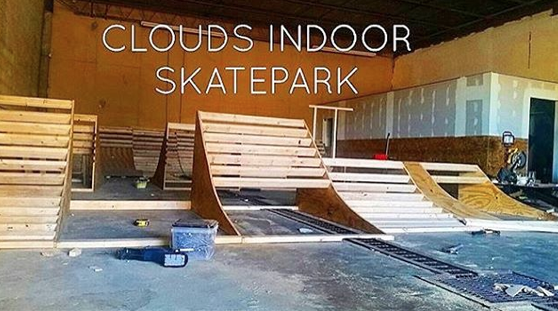 They strive to spread stoke, have fun, & shred on. 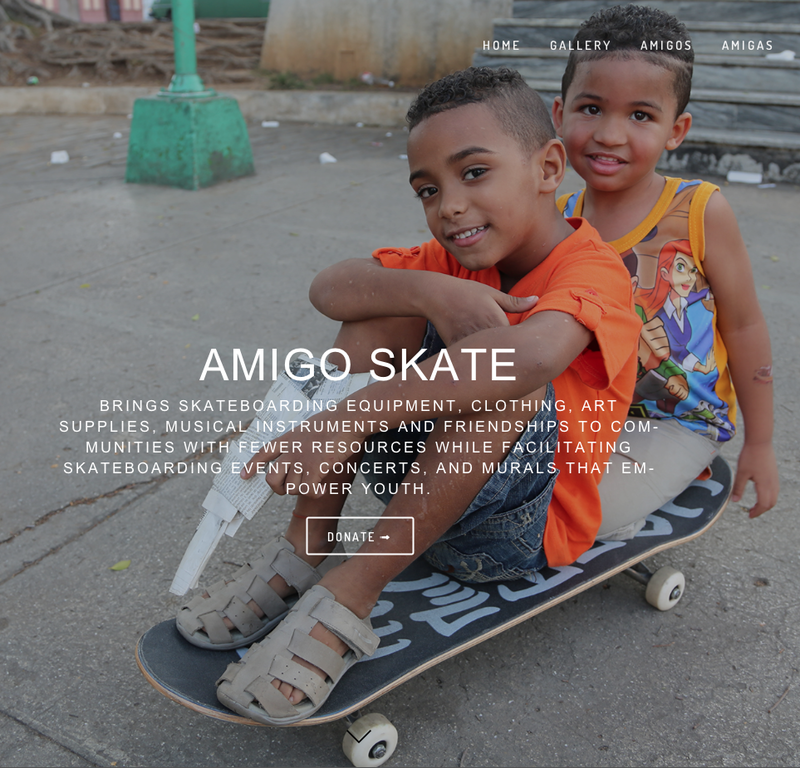 I love their attitude and I’m grateful blemboard hooked them up with boards. I believe in karma so I see good things in the future for the Wahines of the Waves & blemboard. 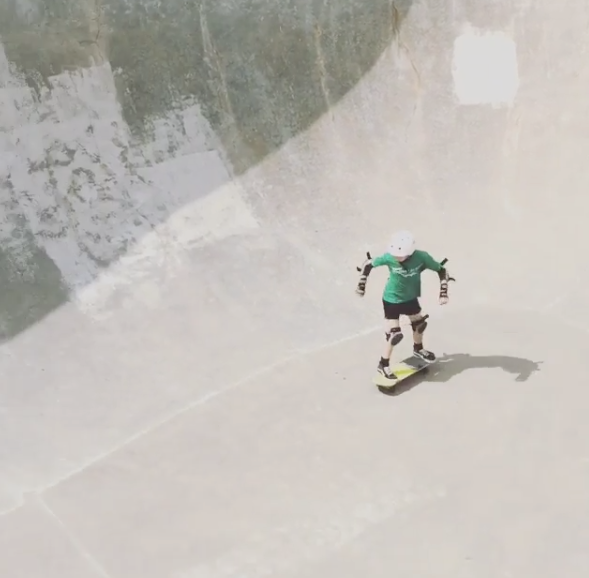 The Wahines of the Waves surf and snowboard too – here’s a few more pictures of them skateboarding. 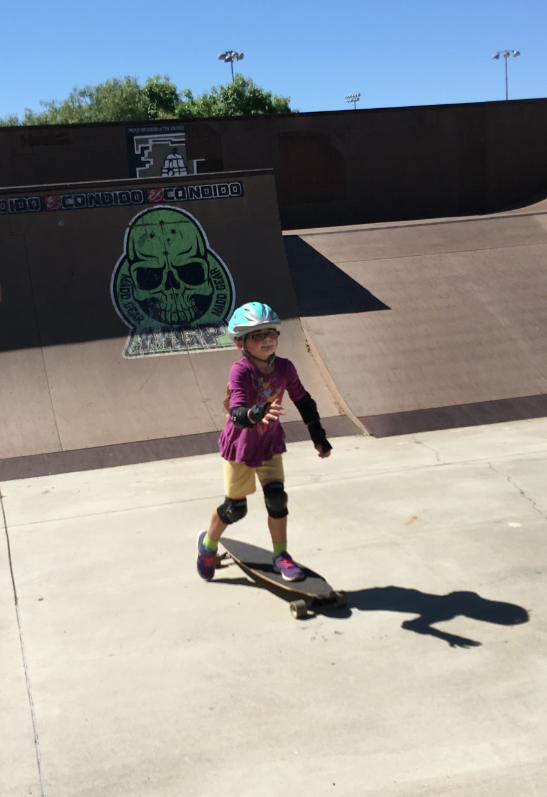 Keep sharing your pictures of skateboarding because more girls do skate when they see stylish girls skateboarding and we encourage each other. 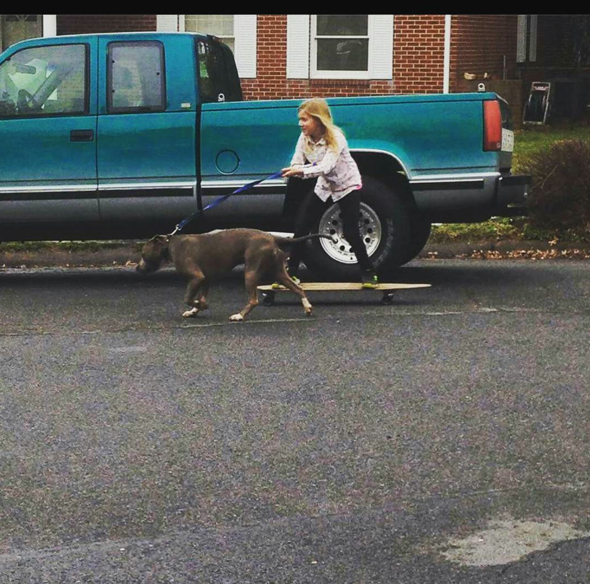 Skateboarding is fun alone or with a friend. 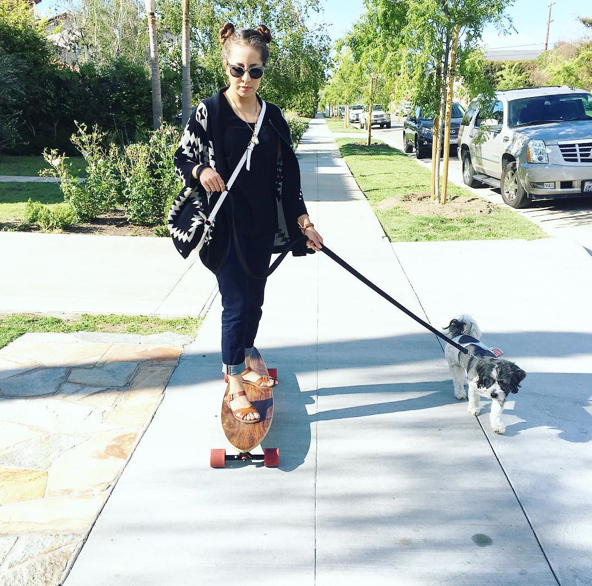 These two skaters show how fun it can be with your best friend – your four legged friend. Above Corina_dee is cruising with Peggy. And below karahogarty shares how Turbo takes the lead with his best friend Lana. 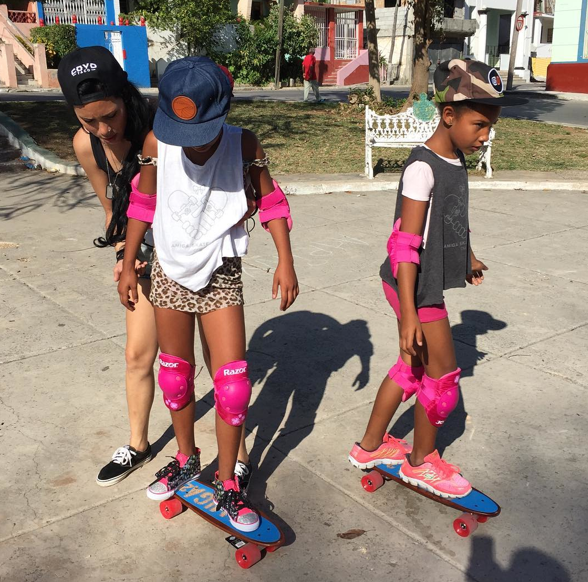 I started this blog and I keep blogging because more girls (people) skateboard when they see it can be fun – it’s exercise, it’s transportation, it’s time with your self and friends. 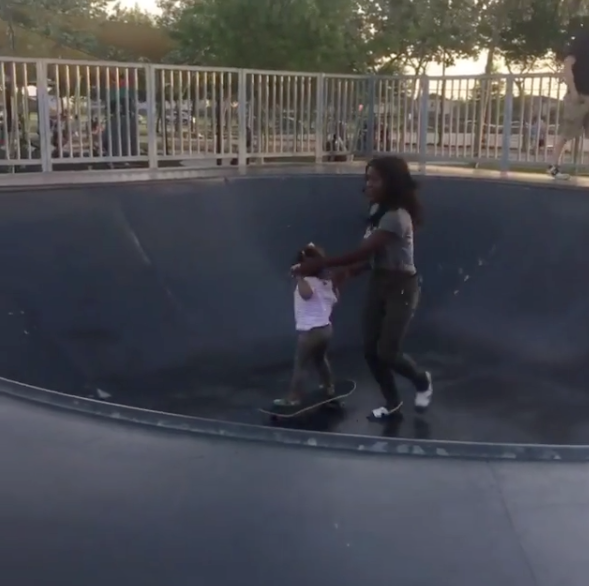 It takes a village to raise a child…. Or to teach someone how to drop in (the goal of the year)! 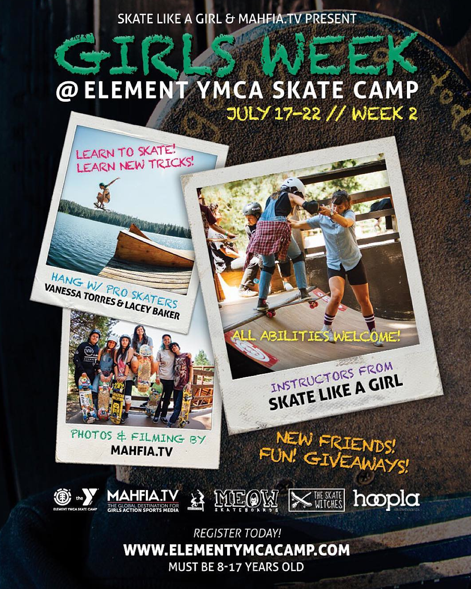 ;-) It was so great to experience all the support from the skate community! 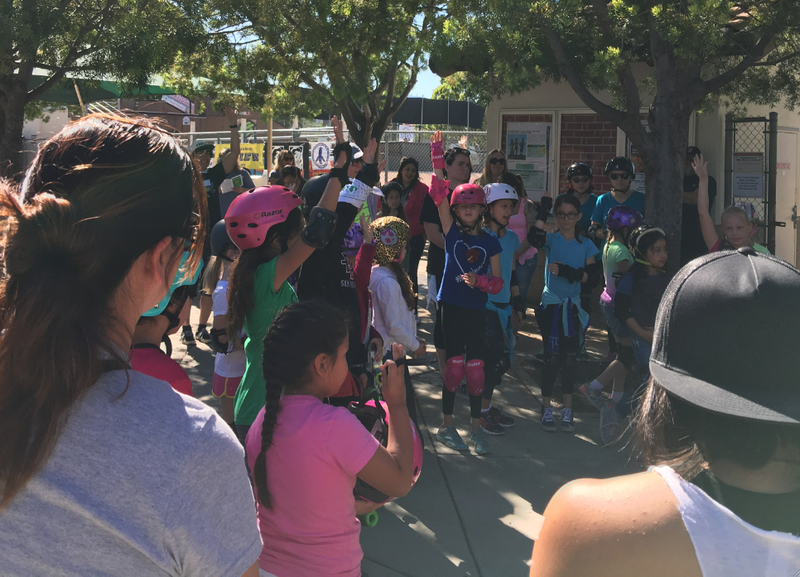 Help& advise came from many directions and so did the hi-fives and pep talks! It was awesome!! I would love for anyone to experience that feeling! Yes – it might take a village – but it can start with just one person. 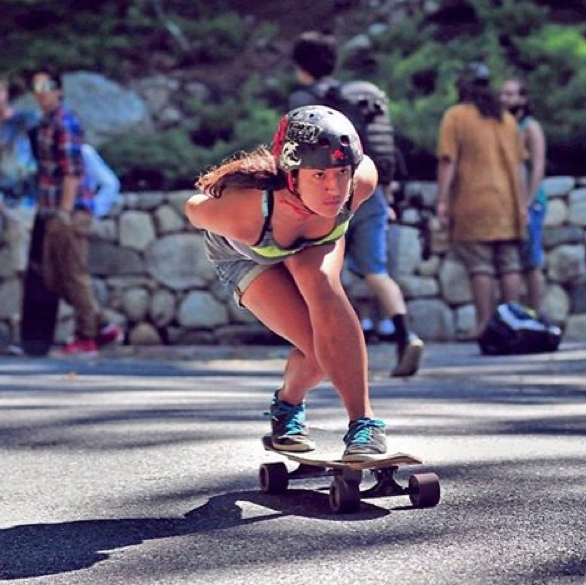 I met imagemaven aka Melene in February 2016 when I was writing about Canadian skater girls. 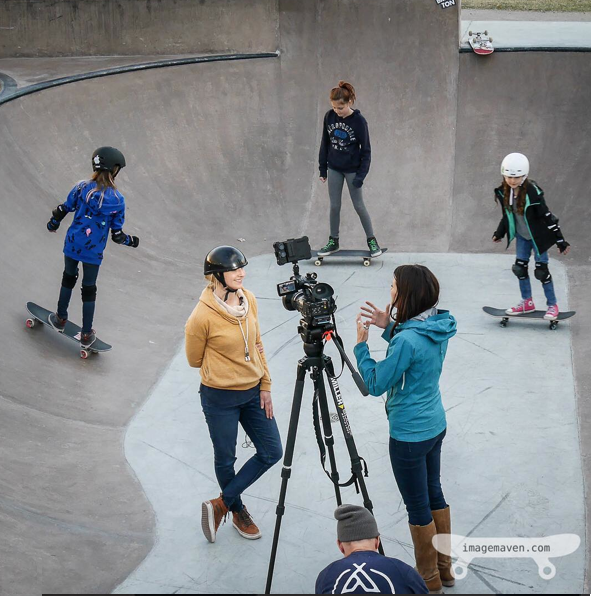 She has incredible photo/video skills and through those skills and her encouragement – I see a village that’s formed and growing. What I see happening in Calgary is what I wish for the world. 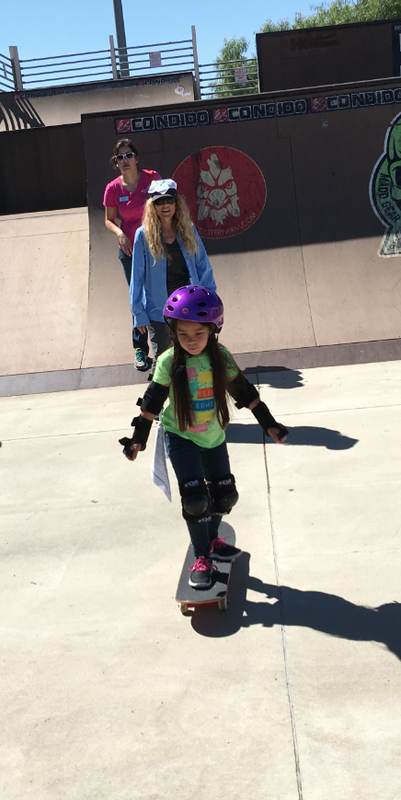 Skateboarding is sport & art it’s meant to be shared – more girls do skate as they see girls skateboarding & get encouragement! 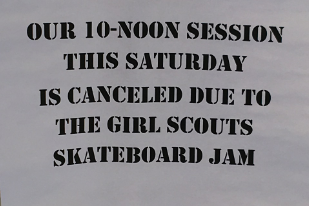 I’m 10 years old and in Athens GA. 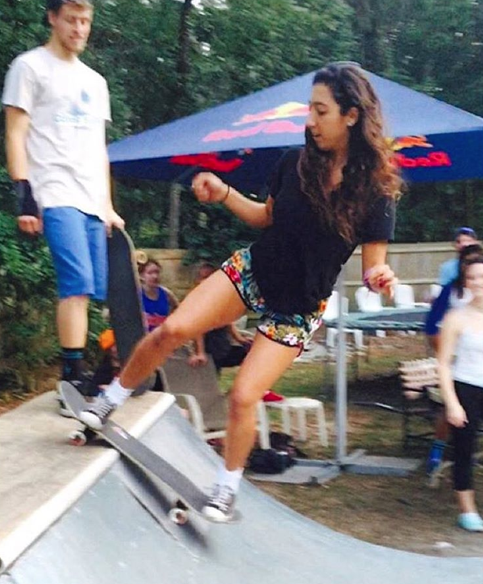 I have been on a skateboard for 7 years, but seriously into it for 3 years. Yes – she made it – go watch the video. Thanks for sharing. 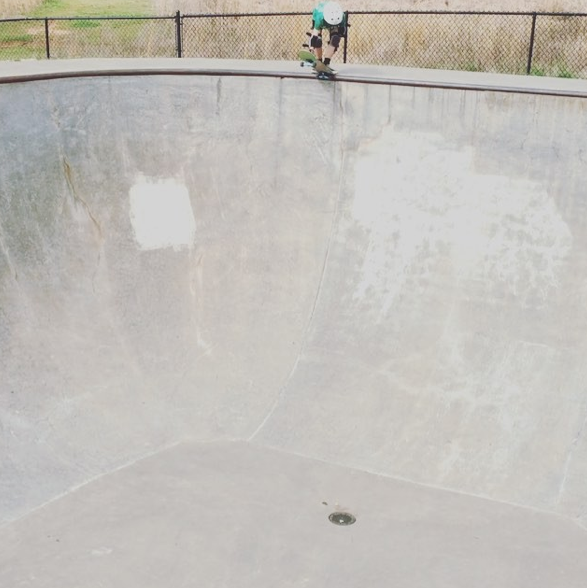 The new “8010 Skatepark” recently opened in my local park of Rothwell. 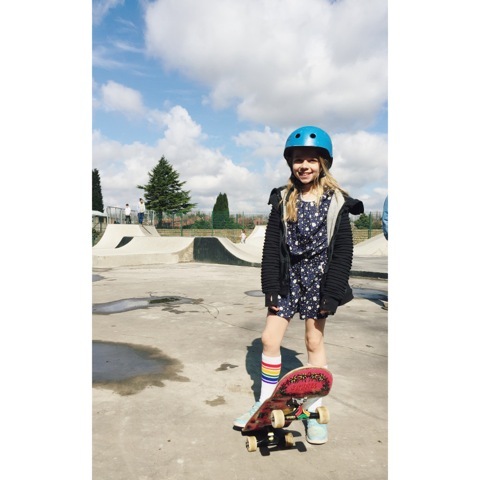 by Kitty-May Laird age 9.
thanks for sharing – where are you skateboarding? 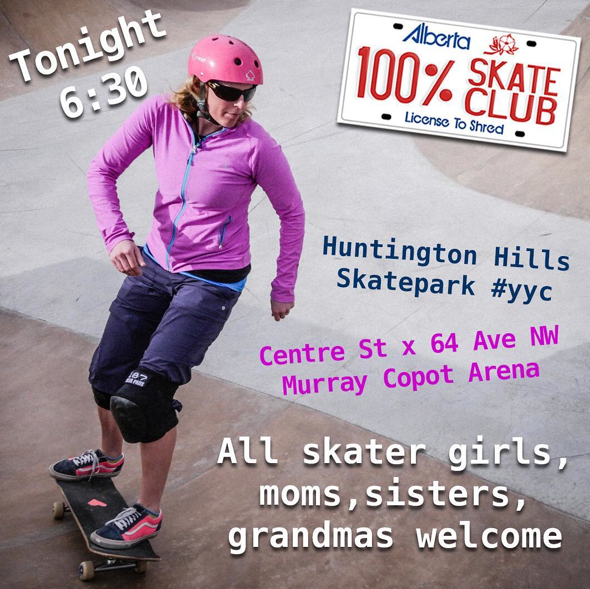 More girls skate when they see girls skateboard and we encourage each other.